The 96 sheet billboard re-appropriates the vernacular of music bill posters. 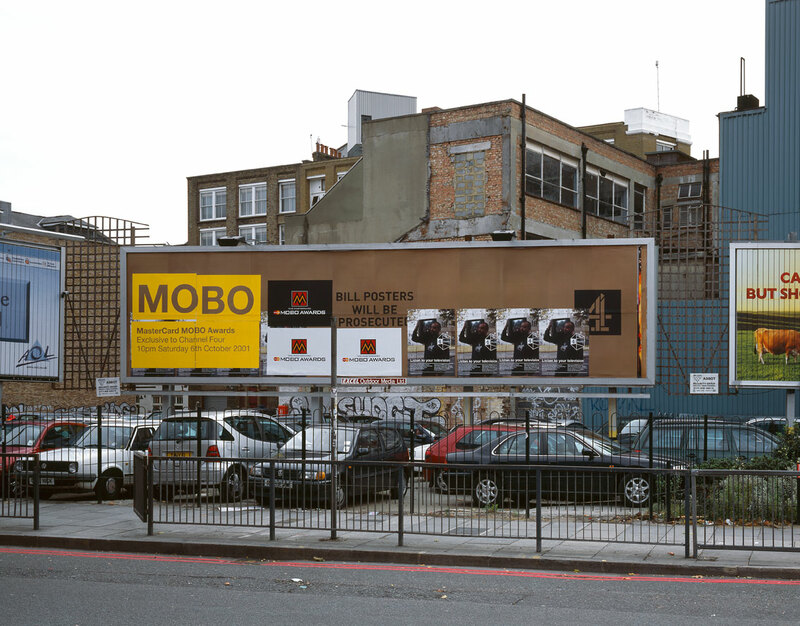 The bill posters were derived from the pre-existing design from the press advert, and the pre-existing MOBO logo. These elements were combined to create what appears to be a bill postered billboard.